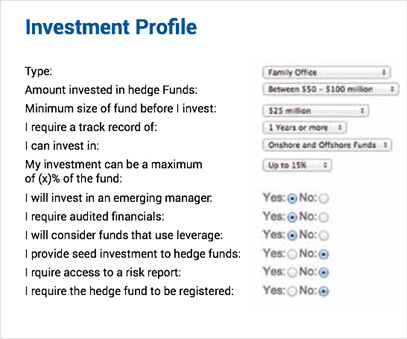 The Capital Club is our online investor introductory service for fund managers. Leverage the Fintroz platform to promote your fund and connect to our global network of allocators. 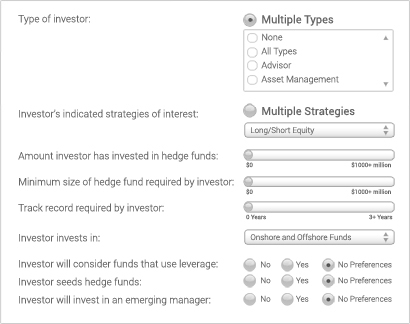 Our patented methodology of matching hedge funds and investors is perfect for managers who want to find allocators interested in their strategy. * Managers only pay for introductions that are accepted. If an investor declines the introduction, the manager will not be charged. Each of the investors in the Capital Club have opted-in to the service. 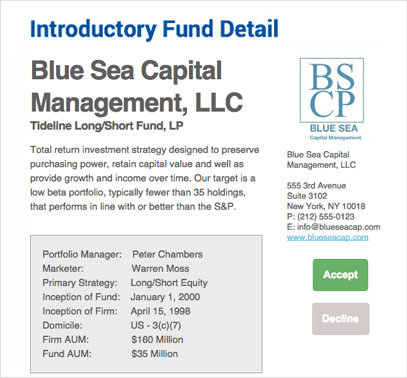 Through a series of interviews, we build a profile on each investor that contains details on what they are looking for in a fund before making an investment. Thank you for your interest in the Capital Club. Thank you for your interest in the Capital Club. We will be launching the service shortly. If you would like to be notified of its launch, please fill out the form below. 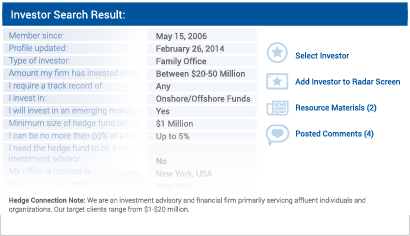 Fintroz has created the best way to discover funds that match your investment criteria. Our patented technology allows managers to request introductions while keeping your anonymity. Investors may also reach out to participating Capital Club Managers and request to connect with them. At the time of placing the request to connect, a date and time will be entered and delivered to the manager, along with the investor's investment profile. The manager will then select whether to Accept or Decline the request. The investor's identity is kept completely anonymous right up until an introduction is accepted. No information is revealed if a meeting is declined. Fintroz will never sell investor information to a third party.